Is Homeowners Insurance Required If Your House Is Paid Off? | Amistad Insurance Service Is Homeowners Insurance Required if Your House is Paid Off? "Is homeowner's insurance required for my home if I own it outright?" If you just made your final mortgage payment to take complete ownership of your home, you might be asking yourself that question right now. You just spent the last 15 or 30 years paying for homeowners insurance because your mortgage lender told you that you had to do it. But now, you're wondering if you still need to have it since you're in charge. The truth is that you're not legally required to have homeowners insurance if you own your home and don't want to pay for it. You could very well drop your homeowner's insurance policy immediately and save yourself some money. But it wouldn't be a very good idea. Take a look at some of the reasons why you should strongly consider keeping your homeowners insurance, even if your home is 100 percent paid off. Your home might be paid off now. But that doesn't mean it won't cost you a fortune if a portion of your home or your entire home is ever damaged due to an unforeseen disaster. A fire could start inside your home tomorrow and burn part or all of it down. A tree could collapse outside and fall into your living room. Or something else could happen that could result in your home sustaining a massive amount of damage. If you don't have homeowners insurance, you'll ultimately have to pay for the damage that was done to your home. That could, in some cases, mean you would be responsible for rebuilding your entire home in the event of a terrible accident. You're much better off paying for homeowners insurance every month to give yourself the peace of mind that comes along with having it. It would be awful to see all your hard work go down the drain if something happens to your home and it's not insured. Some homeowners forget that a good homeowners insurance policy will protect more than just the structure of their home. It'll also protect the things that make it a home inside. Take a walk through your home today and calculate how much all of your stuff costs. Chances are, you have tens of thousands of dollars worth of furniture, electronics, clothing, and more. Those things could be put at risk if your home ever endures a fire or another disaster. You can protect them by making sure you keep your homeowners insurance. Do you enjoy having people over to your house for backyard barbecues, family game nights, and more? These are some of the things that make all those mortgage payments worth it. It's fun to have family members and close friends come over and spend time in your home with you. But did you know that, if anyone ever gets hurt in your home, you could ultimately be responsible for their medical costs? They could force you to pay them if your home was the cause of an injury they sustained. That's going to be a big problem if you don't have homeowners insurance. But as long as you do have it, most guest medical costs will be covered. You won't have to worry about anything other than getting in touch with your insurance company to tell them what happened. As a homeowner, there's always a chance you could face lawsuits from guests, neighbors, and more. If someone is hurt or even killed on your property, they could turn around and sue you as a result of it. If you don't have homeowners insurance, you're going to be on your own when it comes to dealing with lawsuits. From lawyer fees to settlements, you'll have to cover it all. But when you have a homeowners insurance company by your side, they'll handle any lawsuits that come your way and work them out. We know what you're thinking: "Am I really going to have to worry about someone filing a lawsuit against me?" And we see your point. The chances of you facing a lawsuit are slim. But in the event that someone does take legal action against you, you're going to end up spending a fortune to defend yourself. You could avoid a situation like that with homeowners insurance. There may come a time when you're not able to live in your home due to damage that has been done to it. A fire may make it uninhabitable or a tree may crash down on it and expose it to the elements. Where are you going to live while it's being repaired and/or rebuilt? You may have friends or family members who will take you in. You may even have a second home that you can live in for a few months. But if you don't have anywhere else to go, homeowners insurance will make sure you're taken care of. When you have the right policy, your temporary relocation expenses will be covered. This could really come in handy if you ever face a situation where you're not able to live in your home. It'll let you focus more on getting your house back in order and less on trying to find money to pay for a place to live. You're not crazy for asking yourself the question, "Is homeowner's insurance required for my home if I own it outright?" We understand that you want to save money. But in the end, canceling your homeowner's insurance after you pay off your home could prove to be the biggest mistake you've ever made. It could cost you thousands, if not millions, of dollars and put you and your family in an awful position. It's why keeping homeowners insurance is a great decision. 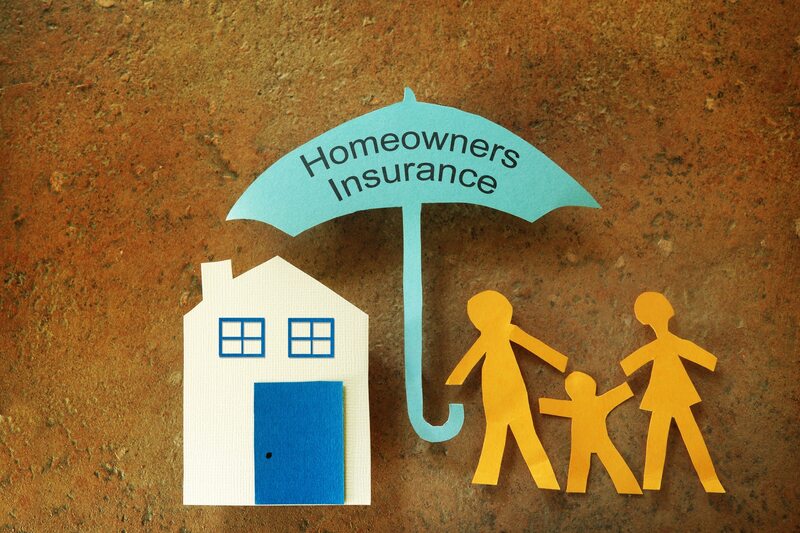 Read our blog to learn more about the many benefits of homeowners insurance.